First of all thank you to whoever created this forum, so that I can discuss Mathis theories with someone else constructively. This question / thought considers the Expansion Theory to be true. This means, that all matter expands at the same rate and this gives us the impression of "gravity" between objects. The sun at a certain moment has a diameter of 1. On that instant a ring of photons starts its travel from the "edge" (as seen from us) towards our eyes. After several minutes, this ring arrives and we can give it a size. During this time the sun expanded. If the photons expanded as well, the ring we see matches the current size of the sun. If the photons did not expand, the ring we see has the size of the smaller sun of several minutes earlier. So, my question is, which one is the case? How can we tell? Also I must add that the second scenario would tell us that distances between objects are much smaller than thought, because: imagine a probe going to the sun and measuring its diameter, then returning here where we use that value to confront it with what we see on a telescope and carry out a distance (average). Since the image on the telescope would be much smaller than what the sun really is at that moment, that distance is wrong. Hi Ciaolo, welcome to the forum. I'm not sure I agree with some of your assumptions but I can answer your question definitively. The photons expanded. I say that with absolute certainty (within the confines of the theory) because the only things that exist are BPhotons so if anything is expanding, it is them. Your assumption that the ring we see matches the current size of the sun does not hold. The ring of photons and the sun are two very different entities and they will expand differently. Well, they will expand exactly the same (as in it is the BPhotons expanding) but the motion of that expansion will affect each entity differently. The sun is a sphere of photons and the sum of the expansion of those photons causes the surface to move outwards because that is the only unconstrained direction. The ring does not have such constraints so each photon has more freedom in the directions it can go when struck by an adjacent photon because both have expanded. A photon in the ring could move outward, mimicking the suns photons, but they could just as easily move inward. The result of expansion on the ring would be a blurring rather than the ring getting larger. So the ring we see would be a blurry image of the sun as it was 8 minutes before the measurement. The earth reacts to the charge field of the sun 8 minutes ago. Miles has used that to derive the 1/r^2 drop-off of gravity, which has never been done before. Nevyn, thank you very much for your answer, it was really helpful. Expansion doesn't make sense in reality, but Tharkun said expansion tendency is balanced by photon emission inward, so I think the expansion tendency is prevented from actually occurring, if he's right. Otherwise, if all matter expanded, it would be obvious, because they would get increasingly closer together. My reply was written about a ring of photons in isolation to everything else. So its photons could only collide with other photons in the ring (and then only the ones next to it since we are assuming a common trajectory). But that is not how reality (in this theory) works. There are photons everywhere, moving in all directions. They don't interact that much, but they can. Our measuring devices, even our own eyes, won't miss a few photons that didn't make it, if they were knocked off their path by some other stray photon, because our devices measure an average over some time frame. This can help fix the blurriness because we are going to ignore the few photons that have moved slightly outward since there won't be many of them and they won't average out to a large enough value to register in the device. There are plenty of other photons from inside of the circle of photons coming from the sun that can also be nudged outward and take their place. You would have to block the internal photons as close to the sun as possible to have a ring of photons and even then you wouldn't because the charge emission of the blocking device is also photons (although of a different kind so we could measure the difference, but that doesn't stop them from interfering with the ring of visible light photons on the path to our telescope). If you take a look at various photos of our sun, you will see the blurriness around the edge. There is no sharp boundary that marks the surface of the sun as bright and right next to it is blackness. There is always a transition from light to dark. That is the blurriness I am talking about. With respect to the actual distance being smaller than we calculate, I'm not really sure. I was going to argue against it but the more I think about it the more confused I get. I'll let you and the others make some comments and see how I feel about it. Right now I could be persuaded either way. If the earth is reacting to the charge field of the sun as it was 8 minutes ago, then it should also see the sun as it was 8 minutes ago. 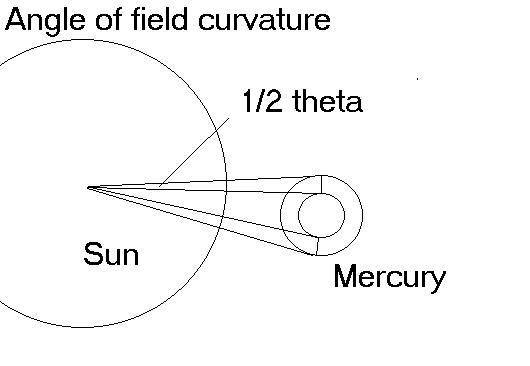 If we measure the sun we see using our current definition of the meter (by that I mean that the meter has expanded during those 8 minutes, so it is longer than it was) then we not only see a smaller sun than it really is at the time of measurement, but we also measure it smaller than it is because our comparison length is bigger. This may give us 2 separate ways that it looks smaller than it should, assuming we could find its true size at the same time that we measure the size from the earth. LloydK wrote: Expansion doesn't make sense in reality, but Tharkun said expansion tendency is balanced by photon emission inward, so I think the expansion tendency is prevented from actually occurring, if he's right. Otherwise, if all matter expanded, it would be obvious, because they would get increasingly closer together. Ciaolo wrote: This question / thought considers the Expansion Theory to be true. The discussion is working within the theory, assuming it to be true and seeing what would happen. Not arguing for or against it. I am interested to see Tharkun's explanation though. Do you have a link to that? I can't make much sense of your sentence but I would prefer to argue with the source rather than a single sentence about it. I don't want to hijack this thread but it seems you are arguing that gravity itself does not exist. Things do get closer together, that is what gravity is and expansion is just a way that it might occur. Expansion is the only theory of gravity that I have seen that can explain why gravity can not be blocked, why gravity ignores mass and why there are no anti-gravity devices (a device that causes levitation, such as a spinning super-conductor disc, is not an anti-gravity device, it just causes a force in the opposite direction, it does not nullify gravity). A quick OT question: expansion was proposed by Mathis (also by others?) because he inverted the gravity attraction vectors. If we put them back to the original versus, what is the equivalent phenomenon? Is it 4-dimentional curvature or something else? The sun emits photons from random locations on its surface, in random directions at random time intervals. It doesn't emit a perfect sphere from its surface immediately followed by another layer. The ring is only conceptual, not real. The photons that make up the ring do not start out at an equal distance from the telescope. They don't travel side-by-side and arrive all at the same time. Each photon has a bit of space to itself. Some may collide with each other but we won't measure those or if we do, they will look like they came from a different spot on the sun (or even off the sun). Any measurement we make will take some amount of time in order to interact with enough photons to make an image. That time frame sets the maximum distance that one photon can be in front of another photon (ie. the distance between them along the line from the measuring device back to the sun) for them to be in the same measurement. So most of them can expand without colliding with any others and they maintain a view of the smaller sun without much, or any, blurring. Sorry if I bump this old thread. I’d like to suggest that, if we assume that the sun is indeed 3 minutes of expansion larger than we think, all the other planets and satellites are some time-expansion larger too. We could redraw our solar system accordingly and do some measurements and predictions. In expansion theory, how much time is required for a doubling in radius? Ciaolo wrote. I’d like to suggest that, if we assume that the sun is indeed 3 minutes of expansion larger than we think, all the other planets and satellites are some time-expansion larger too. Airman. Your suggestion is a fact according to Expansionary gravity, although the 3 minutes figure is incorrect. The sun is actually eight minutes of expansion larger than we can see. Distance from Earth to Sun, s = 149.6X10E6km, c=3X10E5km/sec. s/c = 8.31 minutes. Ciaolo wrote. We could redraw our solar system accordingly and do some measurements and predictions. Ciaolo wrote. In expansion theory, how much time is required for a doubling in radius? Airman. s = (1/2) at^2. Solve for t when s equals the Earth’s radius s = 6371X10E6m; a equals gravity g = 9.81m/s. t = Sqrt(2s/a) = 19 minutes. Miles has used this time difference between planets to explain the inverted square root relationship of orbits. Something the mainstream has never been able to explain. However, that also tells us that we already do take these things into consideration, even without knowing it. The existing math already contains it, whether the mainstream acknowledges it or not. If they did understand it, then they might be able to see that their equations are limited in their freedom to express the real field. Ciaolo, If you haven't seen it yet, please read, “The Perihelion Precession of Mercury”, the longer, uncut version. It turns out that if you understand gravitational expansion, then you also understand General and Special Relativity (I’ll need to read this paper several more times myself). Both Relativity theories are due to the differences between the observed and actual (time-increased) masses and accelerations. Miles uses Mercury’s size expansion difference to show Einstein’s calculations for the curvature of space is off by 4%. Airman. You made the same comment in this thread above on 09 Sep 2016, “Miles has used that to derive the 1/r^2 drop-off of gravity, which has never been done before”. Neither comment includes a paper reference. Never pass up the opportunity to reread papers, I’ve been reading and searching through several. At first, I thought you were referring to Explaining the Ellipse *. I reread that paper and see that the inverse r^2 compared to r^4 is described by the float of a wooden ball in water. E/M and gravity is the two force field that keeps orbits stable. I don’t see any mention of expansion theory in that paper. Rereading EXPANSION THEORY an interlude led to my rereading of The Source of Gravity. I now have a much greater appreciation for the idea that universal stacked spins may replace expansion theory as the origin of gravity. The Perihelion Precession of Mercury has saturated me for the time being. Do you happen to recall the paper you referred to? A long critique of the historical problem, showing the major errors of Einstein and others. 32pp. 6. Explaining the Ellipse. http://milesmathis.com/ellip.html Holes in the elliptical theory of orbits are filled at last. 5pp. I’ll re-read those papers, thank you. Anyway, I applied the math and found out that, starting from 7x10^8 m, the radius of the Sun (I hope that’s correct...), we get to exactly 10^10 m at the time the light got to our planet. I can’t believe how round these numbers are! You should try and do the same! I’ll continue with Mercury and Venus, and if I find interesting numbers I’ll go with the Moon before Mars. Radius of the Sun = 7x10^8 m (?). Correct. Although if you're worried/wondering about round numbers, the tables below allow greater precision, Radius of the Sun = 6.957x10^8. Actually I was mainly surprised by the 499 seconds for the sunlight to get here. After redoing the math without approximations, I get a radius at t1 of 1,062,689,932.72 m when the radius at t0 was 696,392,000 m. Not too much round since it’s nearer 11x10^9 than 10^10, but cool anyway. Airman, I can't find the paper containing that info. I can rarely remember which papers stuff comes from and it is even rarer to find it when looking specifically for it. My vague memory is suggesting that the paper was talking about Saturn. At least it used Saturn in the example of the time discrepancy. The paper might not have been about Saturn, per se. It was an old one. One of the first papers I read of Miles work. I would think that it would be in the Gravity section, but none of them jump out at me as being the one. 173. The Third Wave: a Redefinition of Gravity, Part III. http://milesmathis.com/thrid3.html. An explanation of the inverse square law using expansion theory. It is also shown that the Standard Model contradicts the law. 6pp. Please, check it. If this is correct, we have a difference of about 2.5 km, which is negligible in %. Ciaolo, I'd check, but I don't understand what you're calculating. Please explain it to me first. Defined t0 the time light starts from the sun, t1 the time light gets to Earth, and r0 the sun size at t0, I calculated r1 which is the size the sun has at t1. I went on by doing this for all the planets and also our moon, and there are surprises. Starting with the Planetary Fact Sheet, here are my numbers showing the amount of Solar expansion that has occurred in the time it takes for the sunlight to reach the planet. Some effort is required since the table is too wide, the columns aren't aligning, and the number formatting isn't round. For example, the sun has increased it's size 1,365 times in the time it took for the sun's light to reach Pluto. I’ve enjoyed reviewing The Third Wave: a Redefinition of Gravity, Part III. I’m understanding expanding mass and relativity theories better than I did before. Below, I’ve collected the boldened text from that paper for an even speedier review. Every distance separation is also a time separation. What we have always assumed we were learning with the inverse square law is how two different forces or accelerations looked from the same place. If we have Saturn experiencing a smaller Δx over the same Δt, then Saturn will be experiencing a smaller acceleration than the Earth over that interval. I have shown that if you increase the distance, you decrease the acceleration; but only if you measure all the distances and accelerations from the same time and place. Therefore acceleration must vary as the inverse of the distance. In this problem, if we give the acceleration to the planet instead of to the Sun, the inverse square law cannot be derived! This is the problem: (According to the postulates of the Standard Model) we cannot get the acceleration to vary over time. It is not expansion theory that fails to explain the inverse square law, it is the Standard Model. Yes Sir, earlier this week I’d reread half of it. Wed. 28 Feb 2018 at 4:11 above I wrote. Rereading EXPANSION THEORY an interlude led to my rereading of The Source of Gravity. I now have a much greater appreciation for the idea that universal stacked spins may replace expansion theory as the origin of gravity. There’s nothing “false” about Expansion Theory (ET). Universal Stacked Spins (USS) may indeed be the cause of gravity; however, USS conveys absolutely no sense of the resulting mechanics. ET, on the other hand, completely describes gravity in a way that’s easy to comprehend. It’s the mind boggling mass growth rate that makes ET so difficult to accept. Having achieved that mental hurdle I can now interpret USS as a comforter for those not able to accept ET. Cr6 mentioned mainstream's recognition of the accelerating expansion of the universe last night in the Halton Arp thread. ET may only be apparent. I'll be more than happy to accept USS, I'll need to understand it better first. I’m just pointing out that we need to understand ET whether USS is true or not. Any comments on the Solar Expansion table? Ddist% = comparison between dist1 and dist0, again to give meaning to dist1.